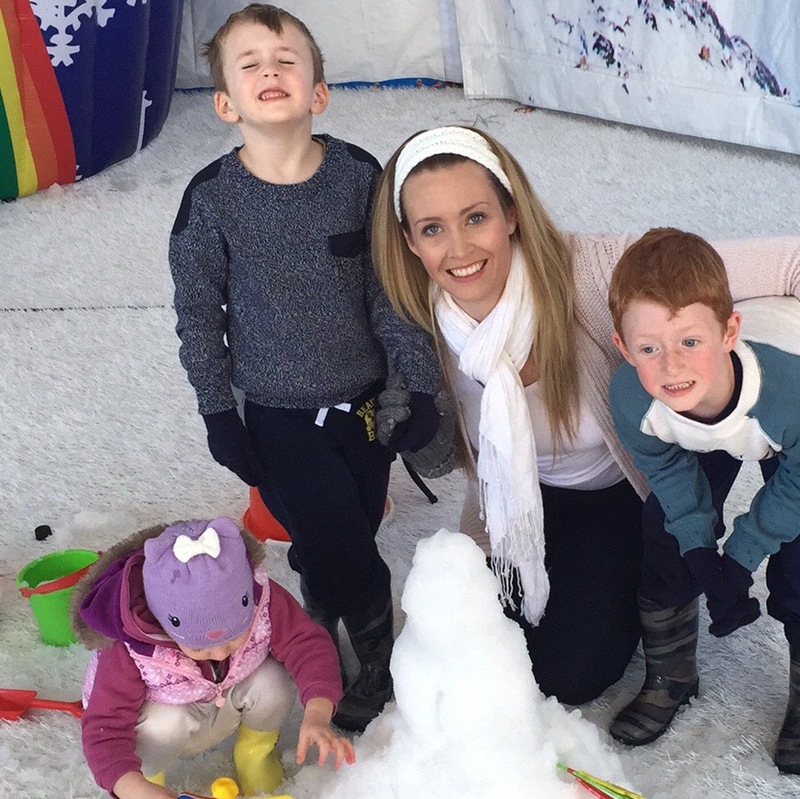 Yesterday, Luke and I took our three kids into Southbank Parkland’s (The Courier Mail Piazza) to visit the SNOW4KIDS PARK. This is an annual event but it was our first visit. Blaire’s now heading for two and we thought they are all now at good ages to enjoy some snow play. We can’t go on any real holidays at the moment, because… SLEEP. We’ll try to get to the Real Snow in about another decade. 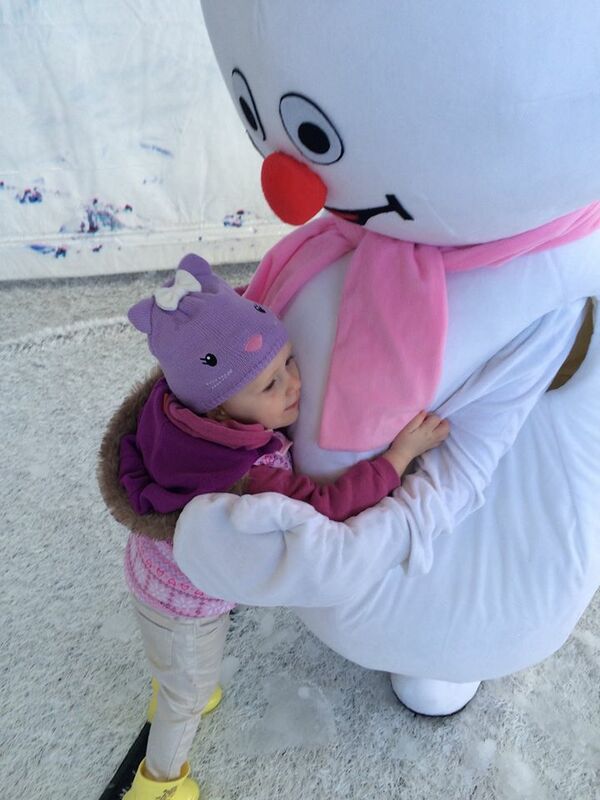 Our visit to Snow4Kids was excellent. The kids had an absolute ball. The session lasted 55 minutes and the cost was pretty okay, at about $22 per child, and each child may bring one adult supervisor for free. Infants under 12 months are also free. It’s especially for kids under eight years. *Edited February 2018 to add; this year the cost is $15 per person plus $1.50 booking fee. I lined the kids up with the Snowlady for a photo, which went fine until I ran back to snap the pic and Rosie turned around and gave her a two-handed shove. Shame. 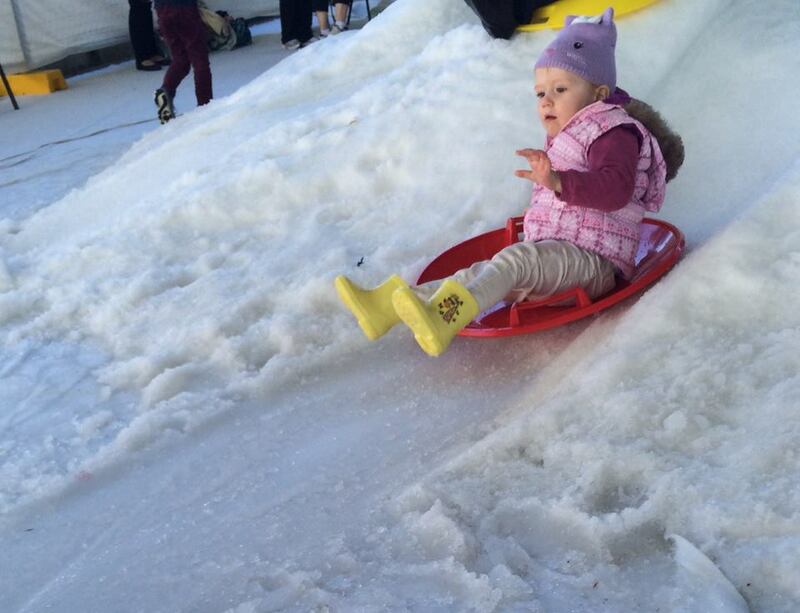 The kids had a wonderful time tobogganing, making snowmen, sludging around, trying not to slip, and doing other things that other Queensland children of snow-deprived childhoods would love doing. They might look terrified, but they kept lining up for more turns so that says something, right? They were each given a cute little mask to take home as a souvenir. Luke and I particularly enjoyed the piped Frozen Soundtrack bellowing through the Piazza on repeat for the whole hour. Made us feel right at home. 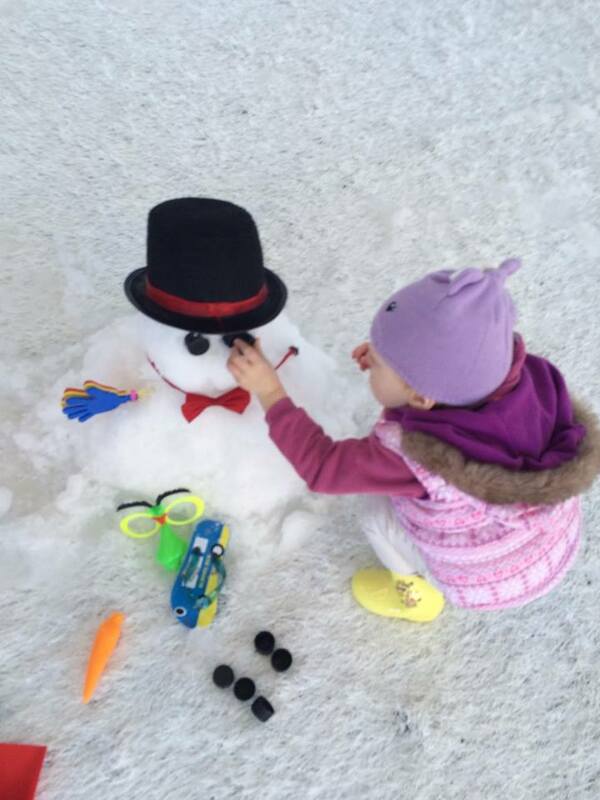 All the accessories are provided to decorate the snowmen! Last session starting at 3.30pm. 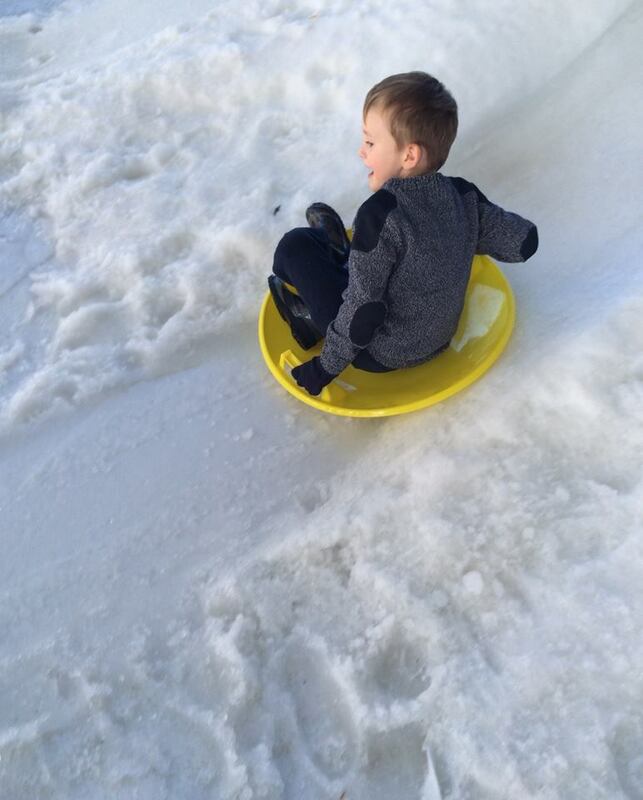 Experience a fun filled time in tons of real, fresh snow made daily for children under the age of 8 years to enjoy. 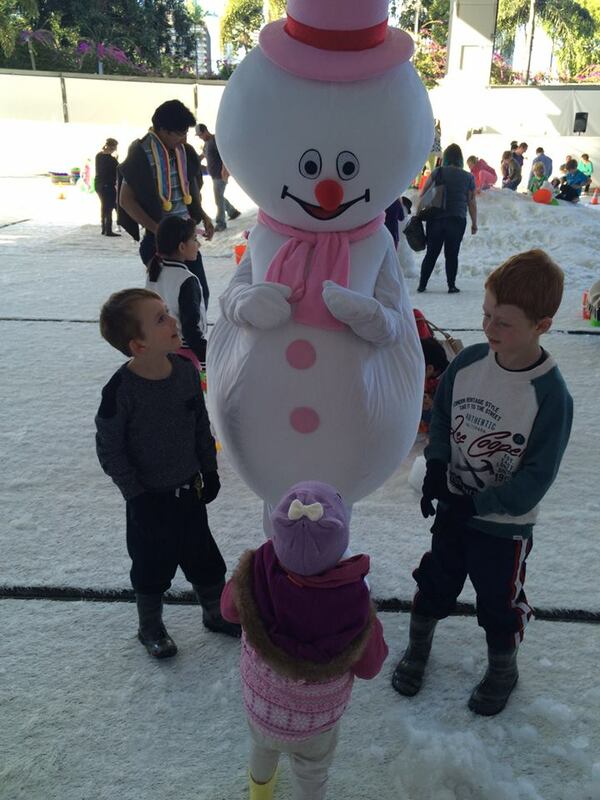 Watch them build their own snow man, climb the mini snow mountains and slide down our mini toboggan slides. Previous Post How I refreshed my dining setting with Valspar Paints – in the time it took my kids to nap this weekend! Next Post Bridges and Bears at the State Library of Queensland.